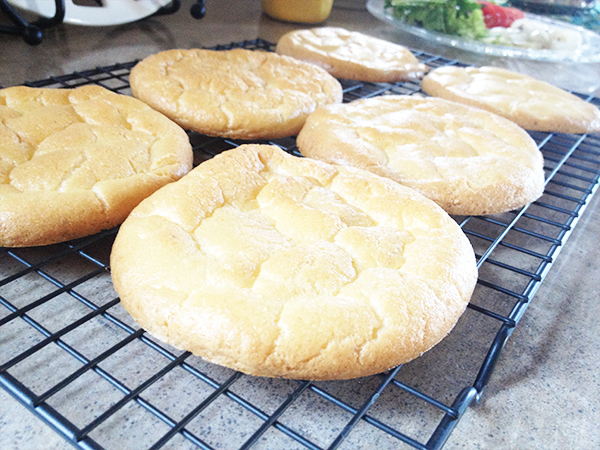 Cloud bread recipe lives here. 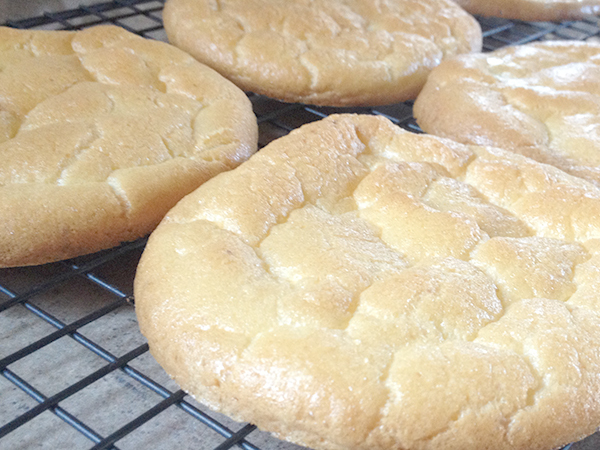 Cloud bread is complete voodoo magic. It looks like a bun, but it’s something more. It’s not 100% as healthy as people claim, with it being 80% cream cheese and 20% egg yolks. However it is a better alternative for those looking for a low carb lifestyle. Let’s get real here. I love bread. I love it so much, I’ve considered marrying it. Okay okay, that’s gross. But really, I like bread quite a bit. When I heard about cloud bread I was like “LOL whutever internets”. The cool thing about cloud bread though is that it actually holds things together as bread would. It’s actually really tangible for things like burgers, which is what we tried these babies out on. Cloud bread is pretty funny in that it’s actually quite porous and spongy. Not like, soggy spongy, but just a light and fluffy kind of spongy. Its an interesting texture. 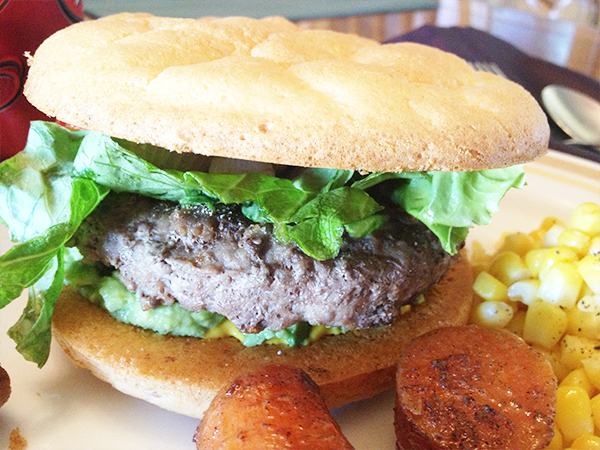 I was pretty impressed by how easily contained my burger was, without tearing or stretching. It felt like a sandwich or bagel thin, but lighter and softer. 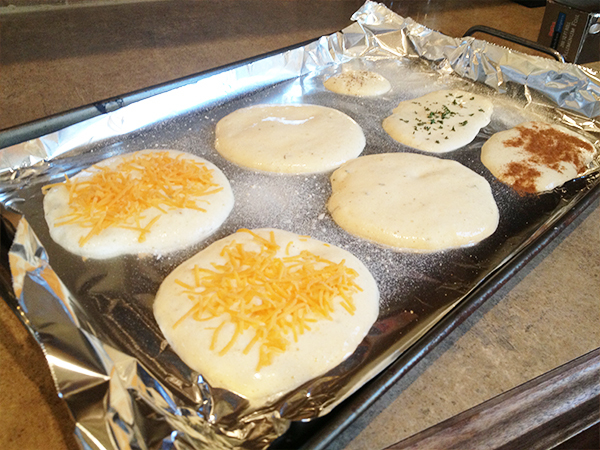 We even tried a variety of cloud breads by adding herbs and cheese. Please note that the more crap you try to add to the batter, the nastier the bread will be. Moderation and light additions are key. I wouldn’t go as far to say that this bread is “yummy”, but seeing as how I’m rather unfamiliar with it, there could be a variety out there that has me foaming at the mouth. We will definitely try this again, if not only for the sheer magic of it.